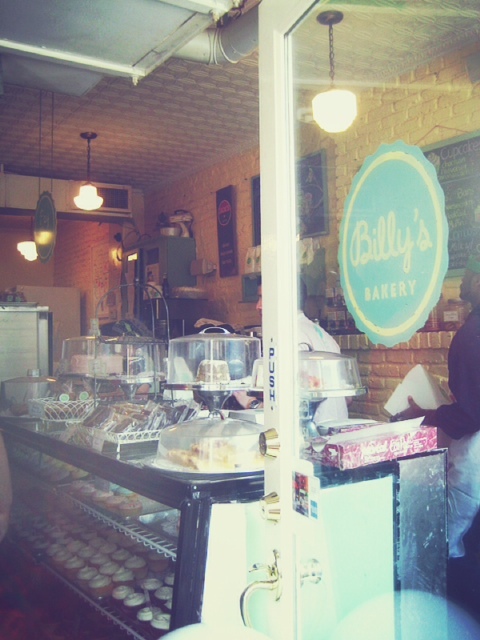 Billy’s Bakery is without question, the most delicious and charming bakery in New York City. 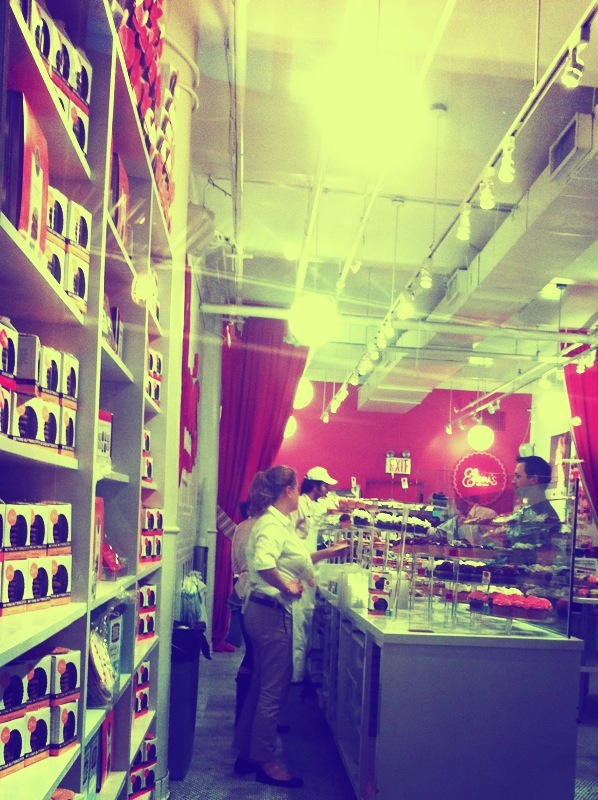 Located on Chelsea’s lovely 9th Avenue, Billy’s cupcakes are my all time favorite. 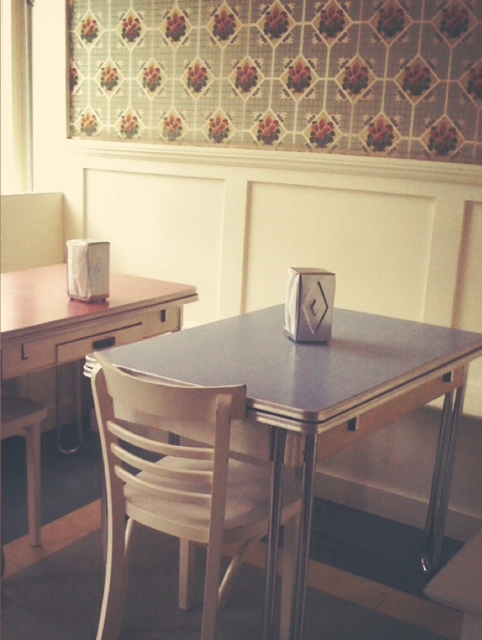 The bakery embraces the beauty and simplicity of vintage nostalgia, perfectly reflected in both their recipes and decor. The vintage wallpaper delightfully compliments the dainty cake stands that showcase their delectable creations. 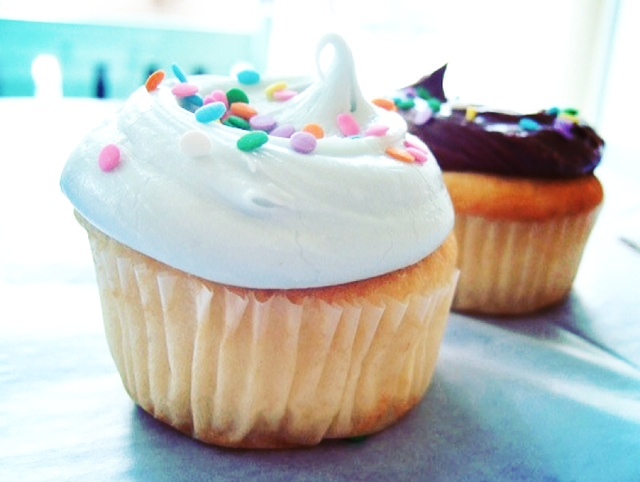 Billy’s cupcakes are baked and frosted to perfection, and I am unashamedly addicted. Whether the sweet bakery smells remind you of your Grandmas kitchen, or you are enticed by the picture perfect sight of bakers frosting cakes in the shop window, Billy’s Bakery is totally irresistible. 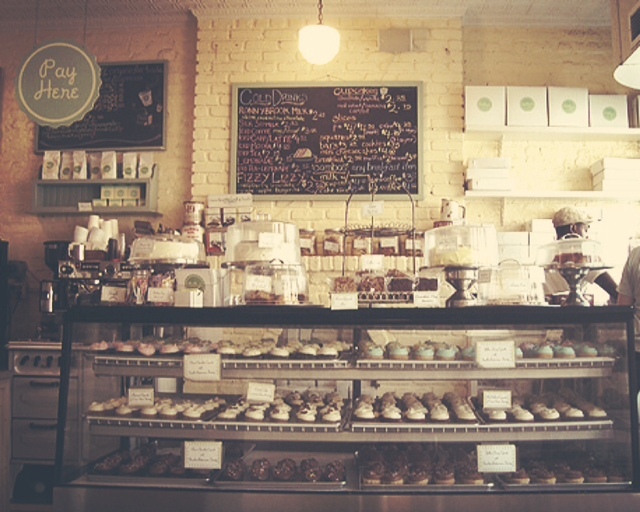 Posted in Sweets and tagged Billy's Bakery, Cakes, Chelsea, Cupcakes, New York City, Vintage. Bookmark the permalink. 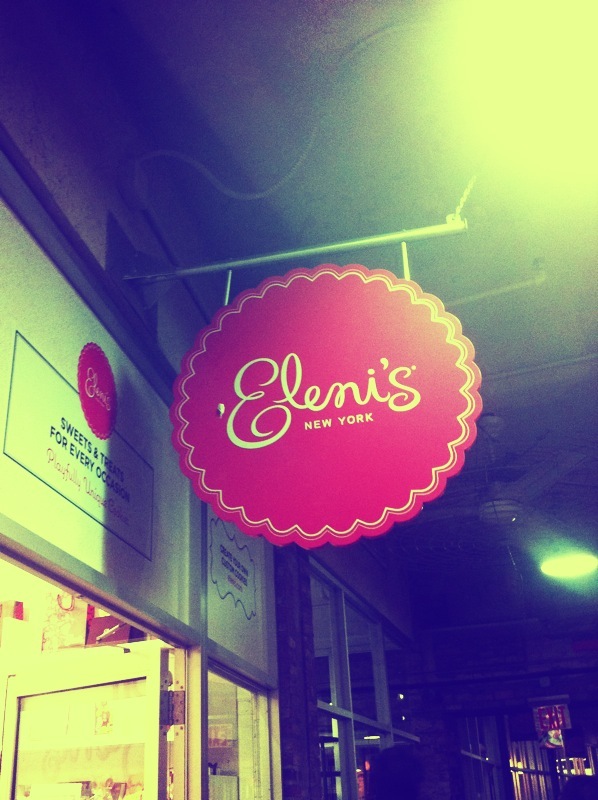 Eleni’s is an exquisite cupcake store located in the fabulously delicious Chelsea Market. Chelsea Market is a food lovers dream. Housing a plethora of incredible restaurants and food stores, the chic undercover market has something to please every palate. For sweets, I always run as fast as I can to Eleni’s. Eleni’s specialize in amazing cupcakes and quirky cookies. 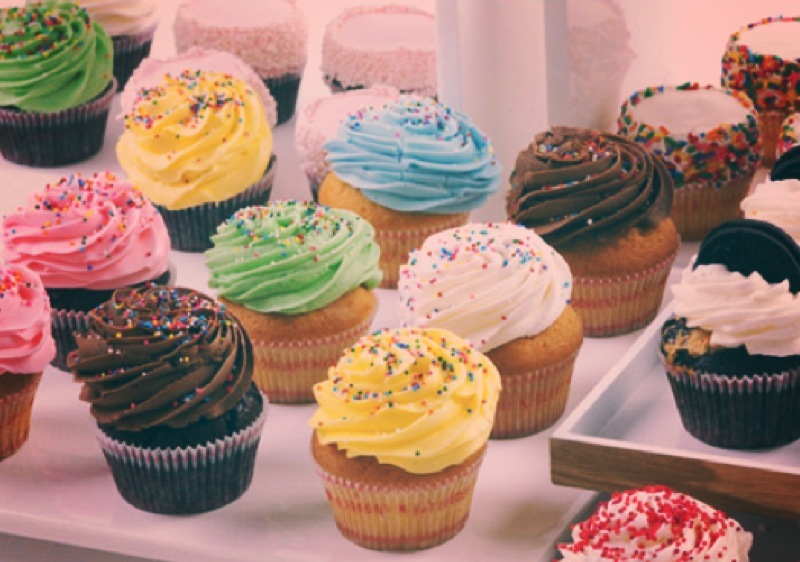 I love this cupcake boutique because their frosting is perfectly sweet but not too heavy and their cupcakes are always fresh and fluffy. One of their most popular cupcakes is raspberry, so be sure to try it. 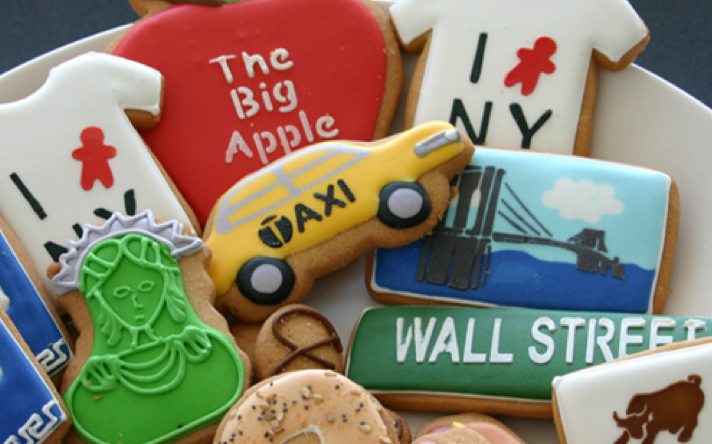 If you are visiting the city and want a fun gift to take home for friends, Eleni’s also sell cute New York themed cookies. Their cookies are a welcomed changed from the standard NYC souvenirs that are sold in Midtown. Eleni’s is sweet and lovely, the staff are always smiling and you will definitely be smiling once you taste these divine cupcakes. 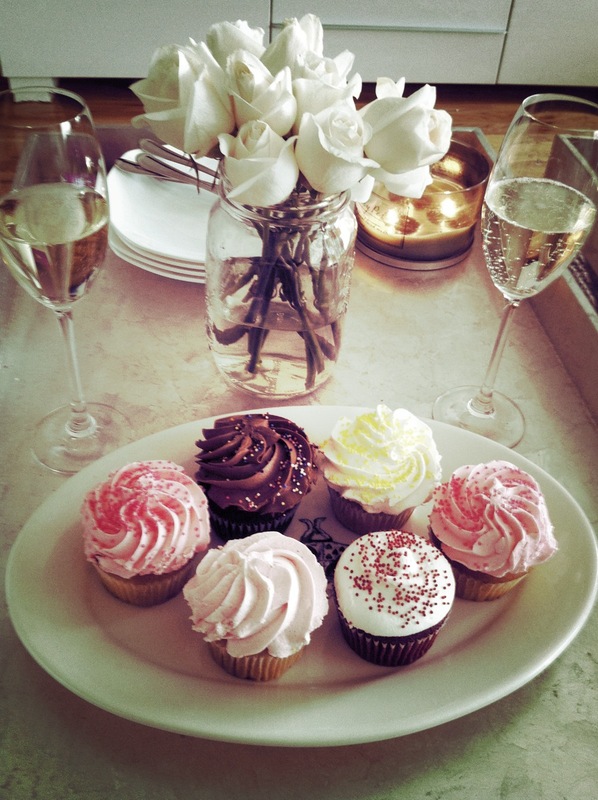 My afternoon tea party, cupcakes from Eleni's. Posted in Sweets and tagged Chelsea, Chelsea Market, Cookies, Cupcakes, Eleni's, Meatpacking District, New York City. Bookmark the permalink. Sign up to the Menagerie!